There are currently 1 user and 193 guests online. Become history's greatest monster... and its greatest saviour! 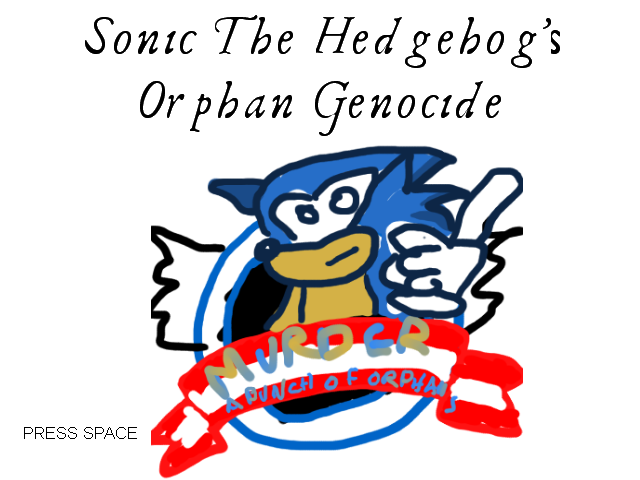 Take the role of Sonic the Hedgehog in this tactically and morally complex real-time strategy game, as you murder astronomical quantities of orphans in order to keep Earth from exploding! 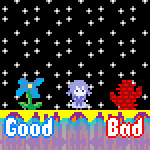 You might need to download this font to get the title screen to look right. If that sort of thing matters to you. Uses sound samples from Noyb, but I'm pretty sure this is not what he had in mind.